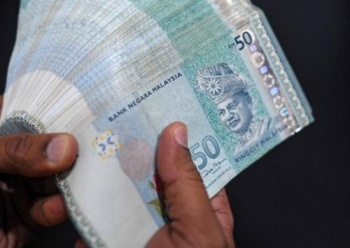 KUANTAN: The Debt Management Programme (PPK) organised by the Credit Counselling and Debt Management Agency (AKPK) has succeeded in "releasing" 10,705 individuals from debts totalling RM437.4 million from 2006 to June 30 this year. AKPK Financial Education department head Nor Akmar Yaakub said these individuals were among 155,147 people who had attended the programme and had managed to restructure their loans comprehensively. Nor Akmar added that since 2007, the number of individuals who attended AKPK counselling sessions had been increasing each year and as at last June there were 449,834 participants. "This upward trend indicates that debt awareness is increasing which is a good thing, nevertheless it is worrying to know that many have poor financial management. "Some are aware of their debt problems, but their spending behaviour remains unchanged thus leading to debt problems," she told reporters after an AKPK gathering at Pahang National Archives Department here, today. "The majority making up 39% are those between the ages of 30 to 40 years. Those aged 20 to 30 years make up 15% while those aged over 60 years make up 3%," she said. Most young people start accumulating debts due to credit cards and personal loans as they would often live beyond their means once they were employed, she added.